ONCHAN, Isle of Man – February 2, 2017 – A New Jersey family added a fantastic $100,000 Spin & Go win on top of engagement celebrations, all in one exciting evening on PokerStarsNJ.com, an Amaya Inc. (NASDAQ: AYA; TSX: AYA) brand. 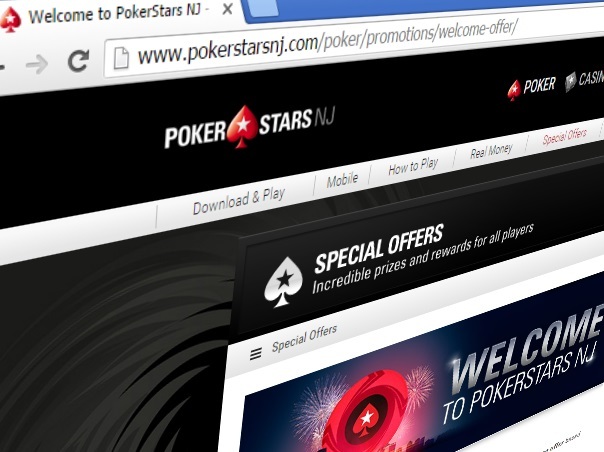 James Piccolo, the baby of the family at 27-years old, signed up to play PokerStars three days ahead of his win when visiting his parents in New Jersey. Piccolo has been playing poker for a number of years and recently moved to Las Vegas to seek his fortune playing live poker, but this was the first time he had played Spin & Go on PokerStarsNJ.com. Piccolo had just played a few games using the User ID of ‘VaderWolf’ before the $120,000 jackpot prize pool lit up his screen. He couldn’t believe his eyes and called all his family to watch as the game played out. He won the three-handed turbo tournament and won the $100,000 first place prize. Piccolo’s win was not the only good news that night. It was a double celebration as his sister came home to announce her engagement too. The engagement and the $100,000 win came as some timely good news for the family as the Piccolos had congregated at the family home to lend support to Piccolo senior, who is battling cancer and was having an operation the following day. Piccolo’s brother recorded the action and can be heard teasing him as at one point it looks like he is going to lose, but he comes back to score an amazing win. Piccolo’s mom can also be heard in the background saying she is nervous. After his big win, Piccolo called all his friends, but the most important people, his family, were all with him. This is the biggest poker win for Piccolo whose ‘VaderWolf’ Stars ID screen name is inspired by his two dogs, Vader and Wolf. His biggest win in poker prior to this was $4,000. Spin & Go’s are the fastest way to win up to 1,000 times your buy-in. Each Spin & Go has a randomly assigned prize pool. It’s an exciting poker format that anyone can play.